Chanelle Bednarczyk was born in Hahn (Germany). She commenced her study of the violin in 2004 in the Karol and Antoni Szafranek State Primary and Secondary Music School in Rybnik. 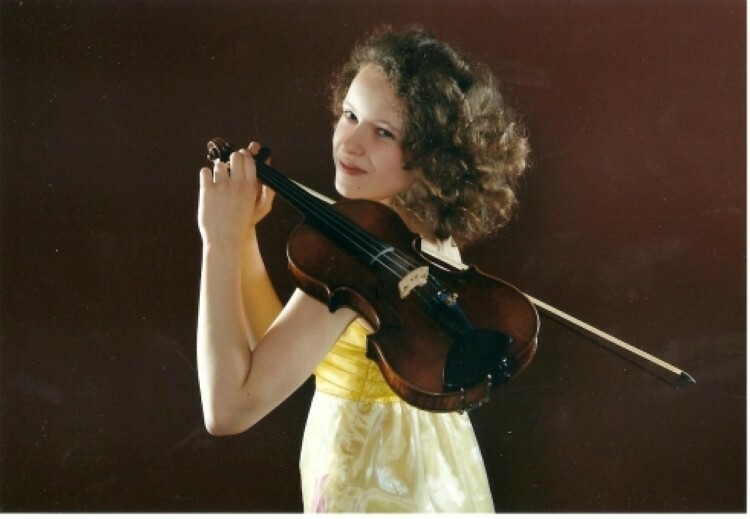 She is currently a student in the Stanisław Moniuszko State General Primary and Secondary Music School in Bielsko-Biała in the violin class of Józef Iwanowicz. Many times she had the opportunity to perform as soloist with the Rybnik Philharmonic. She has also played with the Zielona Góra Philharmonic, the Rzeszów Philharmonic, the Silesian Philharmonic and the Orchestra of the Polish Radio in Warsaw. She has performed with the Chamber Orchestra of Schloss Britz in Berlin under the direction of Mark Laycock. Chanelle has performed at the Royal Castle in Warsaw, at the Ballroom of the Castle in Łańcut, at the Moyland Castle in Bedburg, at the Goch Castle in Germany and in the Berlin Konzerthaus. She has also participated in workshops and courses by wonderful professors, including W. Wiłkomirska, E. Zienkowski, Z. Bron, M. Grabarczyk, E. Durnov, R. Wilkie and K. Jakowicz. She has been a scholar of the National Children’s Fund in Warsaw since 2008. In June 2009 she has successfully passed her entrance examination and was accepted to attend the Universität für Musik und Darstellender Kunst in Vienna to attend a special course for exceptionally talented youth. She placed third in a group of 85 candidates aged up to 25 from all over the world. She studies in the master class under the direction of Professor Edward Zienkowski. Her notable achievements include an honourable mention and award for the greatest personality in the 6th G. Ph. Telemann International Violin Competition in Poznań (2009), 1st place and honourable mention for the best performance of works by J. Kocian at the 51st J. Kocian International Violin Competition in Usti (Czech Republic, 2009), 1st place at the National CEA Auditions for grade 4 and 5 students of primary music schools in Warsaw (2009), 1st pIace at the P. Hindemith International Violin Competition in Berlin (2009), youngest finalist at the “Young Musician of the Year 2009” competition, honourable mention at the 3rd Groblicz Family National Violin Competition in Cracow (2010), 1st place at the prestigious “Andrea Postaccini” International Violin Competition in Fermo (Italy, 2011) and 1st place and non-competition prizes at the Stanisław Serwaczyński National Violin Competition in Lublin (2011). The orchestra was established in the 1950’s. Its formation and artistic achievements have been and continue to be connected with both the educational objectives of the school and with the communty’s great demand for symphonic music concerts. The orchestra’s conductors include the late Antoni Poćwierz – composer and teacher of harmony, Kazimierz Duda – a long-time principal of the school and the late Tadeusz Kocyba – composer of music for film and for plays, connected mainly with the Cartoon Production Studio in Bielsko-Biała. 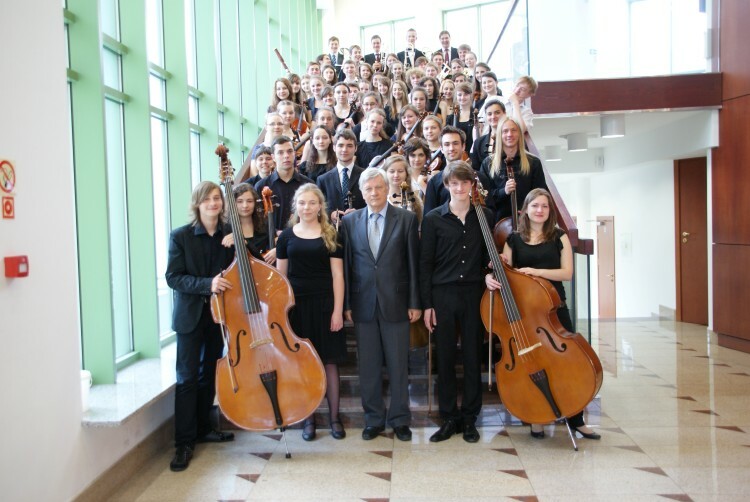 The orchestra has been led by the school’s principal, Andrzej Kucybała, since 1982. Under his direction the ensemble has attained a very high level of artistry. It prepares 2-3 concert programmes each year, encompassing music from the baroque to the 20th century. The concerts played by the orchestra arouse the public’s enormous interest. Under the direction of A. Kucybała, the orchestra has performed in many European countries, in some countries playing more than once. It has visited Sweden, England, Germany, Switzerland, Italy, the Czech Republic and France. It has been involved in a number of projects completed jointly with students of music schools in Uppsala (Sweden), Weston-Super Mare (England) and Ettlingen (Germany). It cooperates with guest conductors from Germany (N. Indlekofer), England (H. Clark) and P. Peterson (Sweden). In May 2004, jointly with invited colleagues from Ettlingen, Wolfsburg, (Germany), Weston-Super Mare (England), Silesian music schools and the choir and soloists of the Music Academy in Katowice, the orchestra has prepared Beethoven’s 9th Symphony, which it then performed under the direction of the excellent German conductor Christoph Wyneken in Bielsko-Biała in the concert hall of the Polish National Radio Symphony Orchestra, also committing the recording of the performance to CD. The orchestra prepares concert programmes, taking also into account the concerts of graduating students preparing their graduation recitals, as well as performances with professional soloists. This year, the orchestra has already performed six times for audiences in Bielsko-Biała, playing various works. Currently (since May), it has been working simultaneously on two concert programmes in connection with having received an invitation to participate in the 11th Polish Composers’ Festival in Bielsko-Biała, at which it will perform film music by, among others, W. Kilar and W. Kowalewski, but also classical music encompassing the works of P. Tchaikovsky, E. Grieg, H. Berlioz, W.A. Mozart and J. S. Bach. One of the orchestra’s greatest achievements is the preparation and performance – together with soloists of the Staatsoper and the Karlsruhe University Choir – of Mendelssohn’s “Midsummer Night’s Dream” and Dvořák’s 9th Symphony. These works were performed before a German audience during a summer music festival in Frauen Alp, Karlsruhe, Ettlingen in Baden-Württemberg and also recorded on CD. In March this year, the orchestra played with excellent Polish flautists Łukasz Długosz and Agata Kielar-Długosz, performing, among others, F. Doppler’s double concerto for two flutes and orchestra. Currently the orchestra plays several concerts a year, each with a completely different programme. Now that it has its own, beautiful concert hall (financed with funds from the European Union and from the Minister of Culture and National Heritage) with excellent acoustics, the ensemble can work on perfecting its sound and its own, recognizable style of performance. A graduate of the State Secondary Music School in Katowice and of the Academy of Music in Cracow. Principal of the State General Primary and Secondary Music School in Bielsko-Biała since 1982. Andrzej Kucybała is an exceptionally creative manager, teacher and conductor. During his long tenure at the school he was involved in the organisation of many important artistic events: in 1974-1979 he was one of the organisers of the “Young Musicians for a Young City” festival in Stalowa Wola, which has given rise to the careers of many young composers and performers who today are some of the most renowned personalities in Polish music culture. He also organised the “Music Meetings” Festival in Baranów Sandomierski. 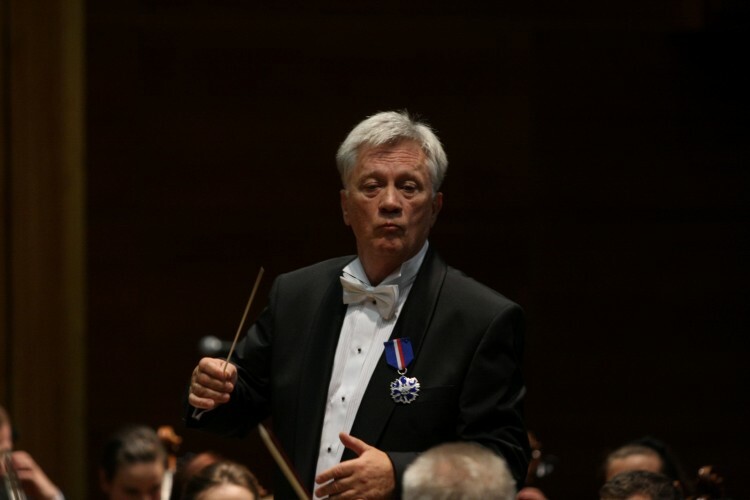 For many years he was the artistic manager and conductor of the “Lasowiacy” Song and Dance Ensemble in Stalowa Wola and the founder and conductor of the Tarnobrzeg Symphony Orchestra. In 1982 he became the principal of the music school in Bielsko-Biała. Under his direction, the school achieved the highest ever levels in both general and artistic education. Kucybała is involved in extensive artistic activities as the conductor of the school symphony orchestra, with which he has performed in Switzerland, Sweden, Germany, Great Britain, Italy and the Czech Republic. The artistic level of the orchestra under his direction is the highest in history. For many years he has also worked together with the Bielsko-Biała Chamber and Festival Orchestra. For all his achievements, Kucybała has received the most prestigious city and state distinctions, including the Bronze and Gold Cross of Merit, the Cavalier Cross of the order of Polonia Restituta, the order of merit for services to culture, the “Medal of the Commission of National Education” (the highest distinction for the teaching profession) and, in 2010, the silver “Gloria Artis” medal. For his artistic achievements and promotion of music among the community of Bielsko-Biała he has received the “Icarus” award of the Mayor of the City of Bielsko-Biała and the Diploma of “Manager of Culture”. The greatest recognition due Andrzej Kucybała, however, is for his involvement in the construction of the school building. The project, effectively in the works since 1995, has made it possible to establish optimal working conditions for teachers and students alike. The culmination of this activity was the commissioning in 2010 of a concert hall financed with funds from the European Union and from the Minister of Culture and National Heritage under Infrastructure and Environment Priority XI. In March of this year Andrzej Kucybała celebrated the 30th anniversary of his work in the position of prinicipal of the school and the 45th anniversary of his artistic and teaching career.